In this photo retouching tutorial, we'll learn how to boost the contrast and color saturation of an image in Photoshop using what's called a luminosity mask, a little-known trick for selecting pixels in an image based on their luminosity, or lightness, values. We'll see how to copy the luminosity mask to its own layer and combine it with one of Photoshop's layer blend modes to increase contrast, bring out the colors and give your photo more visual punch. I'll be using Photoshop CS6 for this tutorial but any recent version of Photoshop will work. Opening the Channels panel by clicking on its tab. Since my image is using the RGB color mode, and yours most likely is as well, the Channels panel displays the Red, Green and Blue channels for the image, with each channel representing one of the three primary colors of light. It's also showing me what appears to be a fourth channel at the top named RGB, but this one isn't really a channel. It's the combination of the Red, Green and Blue channels below it, and it's what's giving us the full color image we see on the screen. Clicking the RGB channel while holding down Ctrl (Win) / Command (Mac). 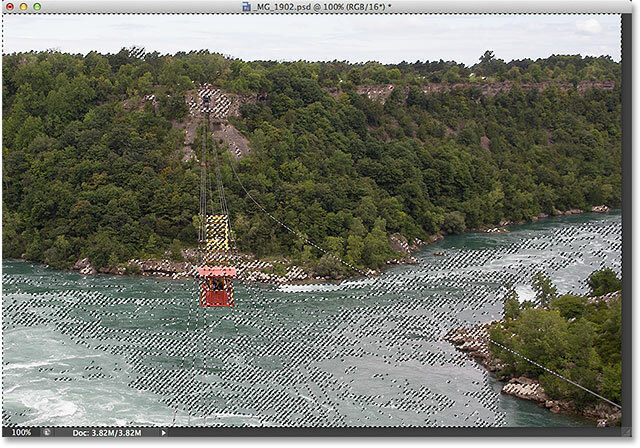 The pixels in the image are now selected based on their luminosity values. Switching from the Channels panel to the Layers panel. Going to New > Layer via Copy. 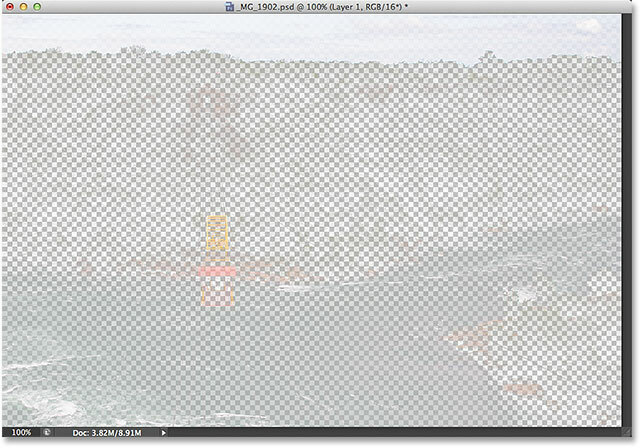 The selected pixels have been copied to a new layer. A view of only the selected pixels from the luminosity mask. Clicking again on the visibility icon. Step 3: Change The Blend Mode To "Overlay"
Changing Layer 1's blend mode from Normal to Overlay. Try the Soft Light blend mode for a less intense contrast boost. The image after changing the blend mode to Overlay. Going again to New > Layer via Copy. The copy of Layer 1 is also set to the same blend mode. The image after duplicating Layer 1. My image is now looking a lot better than it did when I started, but there's a small problem. By increasing the contrast, I've lost all the detail in the sky along the top of the photo. In fact, the sky now looks almost pure white. I could just leave it like that since the sky isn't the main focus of the photo anyway, but let's see how to easily bring the sky detail back using a layer mask. Selecting the top two layers in the Layers panel. Selecting the "New Group from Layers" command. Naming the layer group before it's added. The top two layers are now inside a single layer group. I'll need to paint on the layer mask with black to reveal the original photo in the areas I paint over, and Photoshop uses the current Foreground color as the paint color, so I'll press the letter D on my keyboard which will instantly reset my Foreground and Background colors to their defaults, making the Foreground color white and the Background color black. That's actually the opposite of what I need, so I'll press the letter X on my keyboard to swap them so the Foreground color becomes black. With my Brush Tool selected and my Foreground color set to black, I'll simply paint over the sky along the top of my image to reveal the original photo hiding underneath the layer group. You can change the size of your brush as you're painting from the keyboard. Press the left bracket key ( [ ) repeatedly to make the brush smaller, or the right bracket key ( ] ) to make it larger. To control the hardness of the edge of the brush, press and hold your Shift key, then press either the left bracket key ( [ ) to soften the edges or the right bracket key ( ] ) to make them harder. Painting with black on the layer mask reveals the original sky. The final result after bringing back the original sky. And there we have it! That's how to quickly boost the contrast and color saturation of an image using the luminosity mask and a layer blend mode in Photoshop! Check out our Photo Retouching section for more Photoshop image editing tutorials!